Have you ever sent an important email that you wanted to follow up on, but a couple days later realized you hadn’t? Starting today, you can organize your messages before sending them by starring them or adding a label, making it easy to keep track of your sent messages. 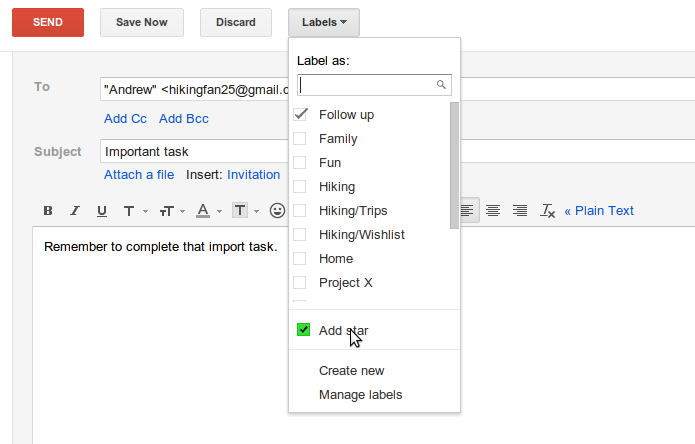 When composing a new message, you can assign labels or star it by using the labels drop-down menu. As you’d expect, recipients of messages organized this way won’t see your labels or stars.